In centuries past, the absence of any developed system of local government meant that Church of England (C of E) parishes (often in conjunction with a prominent local landowner), represented the only ‘natural’ authority in many villages in England and Wales. Over time, the charitable activities of many parishes, e.g. caring for the poor, became a formal responsibility, i.e. with the introduction of the Elizabethan system of Poor Relief. By Victorian times church parishes were beginning to accrue responsibility for wider local services, e.g. basic schooling and highways, which were increasingly regarded as needing to be a civil, rather than church, responsibility. The need for a formal system of civil local government was finally recognised in the Local Government Act of 1894, which created the system of Parish and Town Councils we have today. In setting them up, it is perhaps not surprising that their boundary areas often closely matched well established church parish boundaries – by which communities already identified themselves. That said, and despite use of the word ‘parish’ in their title, Parish Councils have no responsibility for church affairs. Parish (or in larger communities Town) Councils form the bottom tier of Local Government; their role being to allow communities to have a say in how some of their local affairs are conducted, and to otherwise liaise with higher tiers of government. Our Council has been in existence since January 1895 and has 11 Councillors, who are all unpaid volunteers, and 1 Clerk, who is a paid employee of the Council. The Council meets approximately every 6 weeks to discuss a diverse range of issues such as street lighting, Hodnet recreation ground, footpaths, litter bins, car parking, road traffic issues, anti-social behaviour, assistance to local groups and charities, planning applications, and any other local matter that may arise, e.g. sponsoring the Parish Plan and (in 2010) funding the creation of this website. Where a matter under discussion is not within our direct responsibility, we will make representations to those who do have responsibility for it. For example, we provide formal comment on all local planning applications to Shropshire Council and maintain regular contact with our local Shropshire Councillor, Karen Calder (contact details). To assist us in our work we also have a few sub-committees that give special attention to particular topics, such as our Planning and our Recreation Ground sub-committees. Members of the public are encouraged to raise any issues of local concern with the Council, either via an approach to an individual councillor or The Clerk. The public are welcome to attend meetings of the Council but should note that they cannot normally participate in the meeting itself. However, where a matter is clearly of great local concern, or perhaps in response to a specific request, it is our practice to temporarily suspend the formal meeting to allow members of the public to address councillors. Councillors are always happy to hear from you – you can find Councillors’ contact details via the ‘Parish Council Members’ link below, or use the contact form below to e-mail The Clerk. The Annual Parish Meeting, held in March every year, is used to provide a summary of Council activities. Members of the public with an interest in Council affairs are particularly encouraged to attend this meeting during which they can to raise any issue. These will be minuted as the meeting is specifically for the general public to raise any relevant matter they wish to discuss. Once the public have finished their contributions the normal Parish Council meeting commences. The Annual Parish Council Meeting is when Councillors are re-elected and/or voted on to the various sub-committees. These include the Recreation Ground Committee, The Hodnet Charities Committee and the Planning Application Committee. Members of the public do not have any input to this meeting and it is followed by a normal Parish Council meeting. All of our Councillors take a pride in the Parish, work hard to ensure the community is represented/supported and aim to provide good local amenities for the benefit of all. To contact the Parish Council please use this contact form. In an initiative to try and increase public engagement with local government, Shropshire Council have set up Local Joint Committees. These committees are formed of Parish, Town and Shropshire Councillor representatives from defined geographic areas. They hold regular public meetings where Councillors and Council Officers can be asked to explain/justify policies, give talks about their roles/work or engage in consultation exercises. For more information visit the Shropshire Council website. Another useful function of the Joint Committee is that of acting as a grant application body for local projects. Valuable financial assistance has already been given to several projects in our area, for example the Lyon Hall refurbishment and the Hodnet Pre-school Playgroup outside play area. 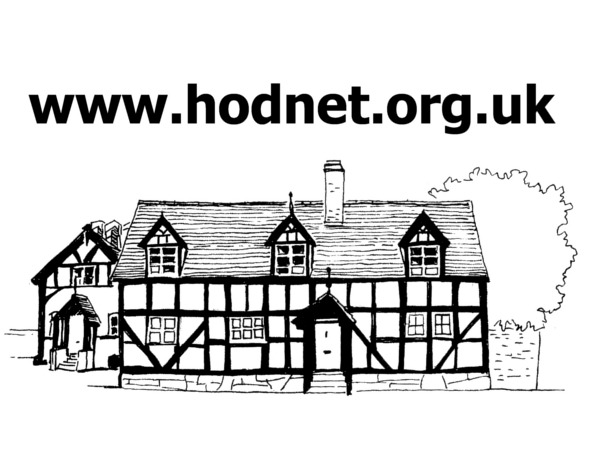 Hodnet Parish Council is represented on the Market Drayton and Rural Areas Local Joint Committee – click here for further information including meeting dates, agenda items and related documents.